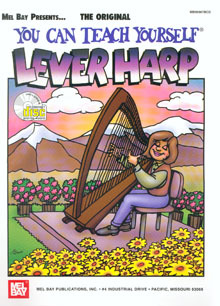 Includes a section on how to sit with your harp, how to tune and how to use your hands. This is not exactly a tutor book, as it introduces full tunes straight away, without much explanation of technique. Would probably suit a musician already familiar with another instrument. The tunes are mainly Celtic and are demonstrated on the accompanying CD.